My vote was, sadly a no. To be honest I was just looking up what the differences were between left and right bank yesterday, as my education in such matters is a work in progress. Next time you are down this way Sid, drop by with a couple of bottles and help a chap better hisself! I’ve not drunk much ’83 Bordeaux. I do however have quite a bit of ’83 Port in the cellar. Generally, it’s drinking extremely well right now and has a lot of upside. The only exception to this is Fonseca, which had some real trouble for such a good house in an excellent year. Love the ’83s in general and think they tend to be drinking extremely well right now. I have always enjoyed the “sommelier trick” of great wines in off years and lesser wines in great years. Unless you have a cellar already deep in the ’82s they are too expensive to buy now. 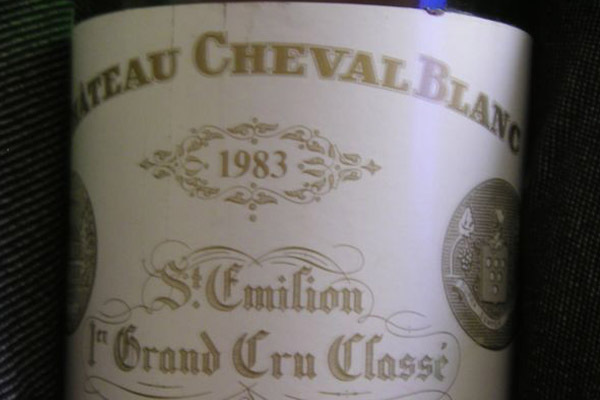 The ’83s make a great substitute, especially at restaurants where pricing is especially difficult. Had the ’83 Cos not too long ago, and it was wonderful. Opened two bottles of the ’83 Chateau Palmer for a mini-family reunion dinner. They were the last two Palmers in my cellar. I was a little apprehensive, but both had held up well. As a side note, we also opened an ’05 Napa Claire Luce Abbey for comparison, and the family was evenly divided with their preferences.